Partners for Resilience II (PfR) Programme organised several country exchange visits between teams from implementing countries to share their experiences on the application of Integrated Risk Management (IRM) in policy dialogues and practice, and further how the interventions are contributing towards improved community resilience on disaster management. The visits which took place in the months of August and September also offered an opportunity for participants from 10 different countries in the global south to gain new insights, ideas and motivation to enhance the policy dialogues and capacity strengthening work. Kenya and Indonesia were the first countries to participate in this activity. The Indonesia team hosted a team of seven from Kenya between 6 and 10 August 2018. 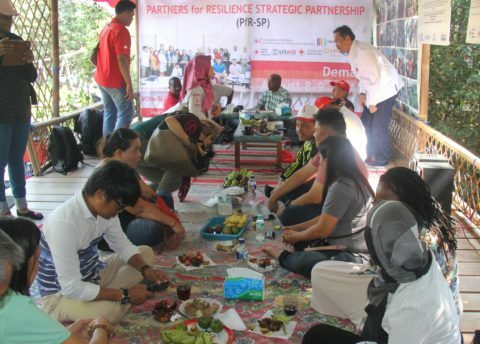 The team engaged in various activities throughout their visits in Jakarta, Demak and Semarang, where they witnessed the importance of establishing good linkages and working relationship with the government at all levels for resource mobilisation, involving the private sector and linking PfR with other complementary projects in IRM Initiatives. The dialogue and field visit with the Marunda Urban Resilience in Action MURIA platform in North Jakarta was an opportunity to observe IRM in practice. This was through the community waste banks ran by women, rainwater harvesting project, which provides safe drinking water, and the risk-proof urban farming project, which supplements the diet of the community living in the slum. The Kenyan team included representatives from Wetlands International, Kenya Red Cross Society, Cordaid, Indigenous Movement of Peace Advancement and Conflict Transformation (IMPACT), Merti Integrated Development Programme (MID-P) and the County Government of Isiolo, which is one of the sites where the programme is implemented in Kenya. This exchange offered an opportunity for a three-way learning approach not just between the Kenyan and Indonesian teams, but the Philippines team who were part of the exchange at the same time. 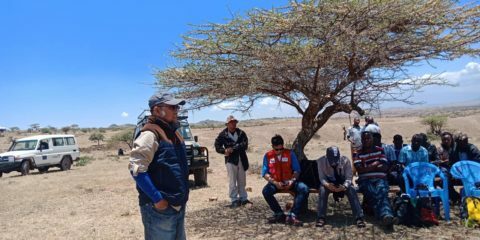 On the other hand, the Indonesia team on their visit to Kenya a month earlier was impressed by how the team is strengthening capacities of local communities to improve livelihoods through a bio-rights approach and implementation of risk warning systems at scale. The team also learned the importance of engaging the private sector in strengthening community resilience. While in India, a six-member Partners for Resilience (PfR) team from South Sudan visited India from August 9-17, 2018 to understand Wider concept of IRM and how it is integrated and incorporated in creating community resilience. The team joined by a representative from the Red Cross Red Crescent Climate Centre, Netherlands also toured Red Cross Society Headquarters, its State Branches and to the government meteorological institute to understand how women youths, government and private sector stakeholders were engaged IMR activities. The team members were drawn from South Sudan Red Cross, Netherlands Red Cross, Rural Action Against Hunger, Hope Agency for Relief and Development and Wetlands International. Meetings were held with the top leadership of India’s National Disaster Management Authority (NDMA) and with the Indian Meteorological Department, the visit was inspired by the need to create a comprehensive, community-centered and inclusive disaster management policy that South Sudan is currently framing. At the state level, the team learned about the need for establishing extensive weather forecasting system and the importance of building capacities to locals on how to access weather forecast and warning alerts as a key component in eradicating disasters caused by climate change. They also learned skills on negotiating with policymaker to engage IRM initiatives in local, sub-national and national policymaking. On their visit to Gujarat Institute of Disaster Management (GIDM) the crew learnt about the state-of-the-art technologies on early warning systems and about the extensive weather forecast systems that ranged from ‘NOW’ or hourly forecasts to a couple of days to seasonal forecasts and how every citizen could access this but it required building capacities of communities to access and decipher these forecasts, warnings and alerts. At the Indian Meteorological Department (IMD) the team explored how IMD works with Red Cross and the need for CSOs too as outreach partners to help in disseminating impact-based forecast information. The team also learned how India? 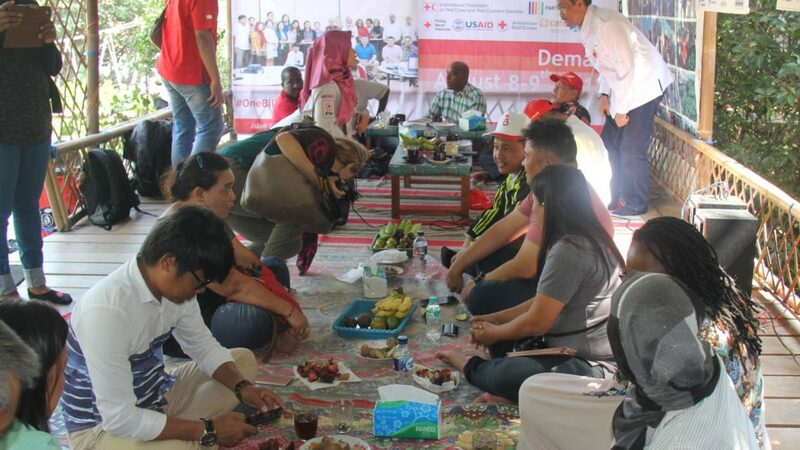 Red Cross, civil societies and PfR partners can help in implementing programs and policies at the grassroots level to build communities’ resilience to disasters, including public health threats. “I liked the private-public partnership showcased by the Indian Red Cross in Gujarat, where they closely work with private hospitals to handle emergencies. So South Sudan can borrow this so as to leverage on the missing infrastructure in the public sector,” said Bernice Kitum delegate from the team. The crew visited dryland landscape which is quite similar to some of the working areas for PfR South Sudan. This helped the team understand how to identify risks and relate them to developmental issues and how different methodologies, including surveys and games, can be applied at the grassroots level to implement IRM. The delegation also learned how working with a diversity of local implementing partners such as scan benefit the programme especially Indian choice of one partner that operates (at the national level as well as at state level). 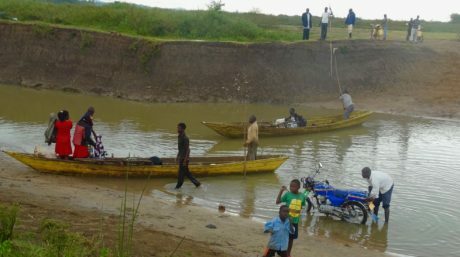 Uganda also had cross-country visit with PfR Philippines between 5th and 11th August 2018 to learn first-hand how PfR local partners there have worked with the community worst affected by Typhoon Haiyan since 2013 to help them rebuild their lives through climate resilient farming and rehabilitating protective coastal mangrove. The team visited local communities and also interacted with national level policy department to be able to utilize the visit exchange. Throughout the visit, the team learned that they can reach suitability scale through good working relationship with the local government, good documentation of information, consideration of critical sectors such as youths and women in the implementation, joint capacity strengthening and Deliberate move from Disaster planning to climate vulnerability capacity assessment and planning. At Guiuan the team had a discussion with city administration where they learned how the government has laid structures decentralize financing for disaster preparedness and management at both municipality and village level. 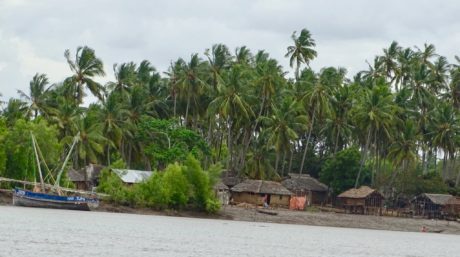 The team also visited Calicoan Island community and Pacific Ocean shore to learn from the Community resilience activities including the Early warning system/ technologies, from the visit the team learned how Good community led practices such as the community-led restoration of sea coast with mangroves increases sustainability chances. Others included Early warning disaster management committees for preparedness and response. The team also Visited Wetlands International field site where they are having an Ecosystem-based approach, strengthening environmental management and rehabilitation to adapt to climate change and reduce risks to disasters, etc. This was done largely through Coastal protection of Palo, Tacloban, and Tanauan Shoreline. The participants in the exchange learning visited the Philippines Red Cross, understood how publicity on the disaster from early warning to past disaster effects could raise adequate and desired awareness. This, in turn, further strengthens livelihood restructuring of community activities after the disaster. The participants further visited the National Disaster Risk Reduction and Management Council (NDRRMC) where they received a briefing on the Philippines DRM System. The team had a clear understanding of risks with use of both advanced anticipation equipment and local technologies; This facilitates better risk planning and management for key stakeholders including. Ethiopian team which was also part of the exchange visit explored how to protect vulnerable communities and ecosystems against disasters such as floods, droughts, mudslide and storm by planting mangrove to reduce the impact of storm and flooding at the coastal line. 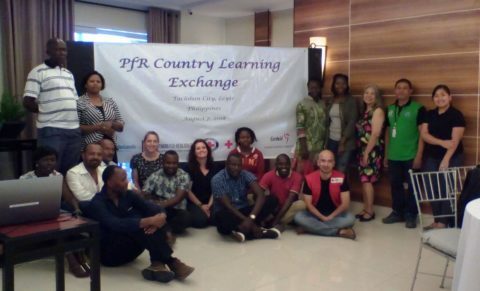 PfR Mali team also visited Uganda between 1st and 7th September 2018, for the second phase of PfR country learning exchange. The team comprising of the 5 Mali PfR Alliance members visited Otuke, Soroti and Amuria districts where they developed interest to learn how PfR Uganda has successfully contributed to the climatic change bill and policies; how they are strengthening the capacity of key stakeholders; how they are working and engaging the local government, and the communities in advocating for policies aimed at improving their livelihoods and effective management of the natural resources at the local level. Whereas the Ugandan team learned best practices to enhance advocacy, and the need for continuity looking beyond the project. 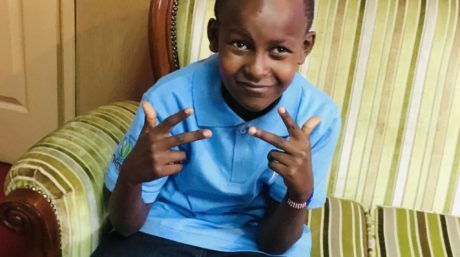 The team was challenged to conduct a research that would help them align the project goals to the Sustainable Development Goals. The learning experiences gained during the visits will be helpful in strengthening partnership and continuing dialogue with stakeholders, inclusive participation in implementing IRM through landscape approach and joint capacity building partners and the private sector.